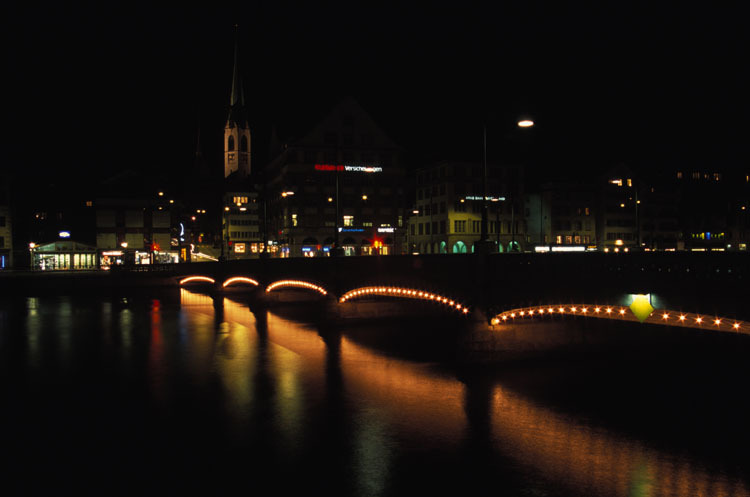 A hundred meters up river from the last shot, this bridge was nicely lit by little lights. The yellow arrow on the closest arch tells boats to go under there to avoid collisions. There were a few swans swimming around close to the bank and I thought they might show up in the picture, but I can't see them.